The City's Parks and Recreation Department has begun planning for the future of the docks at the Luther Burbank waterfront. Built in 1974, the docks need major repair, which may cost $350,000 according to an independent engineer's estimate. In addition, the fixed height piers are not useful for smaller boats and don't serve the needs of most boaters or the City's boating programs. Staff are exploring the potential to reconfigure one or more of the piers to become more versatile floating docks, pending possible state grant funding. Comment on this page to join the discussion and let us know your thoughts! The City of Mercer Island has applied for a Washington State Boating Facilities Grant through the Recreation and Conservation Office this winter. This grant, if awarded, would contribute to the design of one or more replacement sections of the docks at Luther Burbank Park so that they better meet boaters needs. 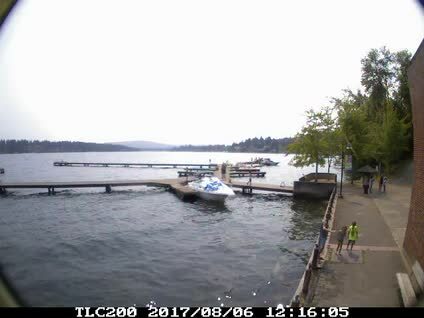 Time lapse video from 2017 and user surveys shows that most of the boats using these docks are smaller pleasure boats. A floating dock would make it easier for these boats to tie up for day moorage. The current fixed pier docks are too high for small boats to use easily. If the City receives the grant, design would start in the second half of 2019. Public input would help guide the design with City Council making a final decision in 2020. Keep your fingers crossed!